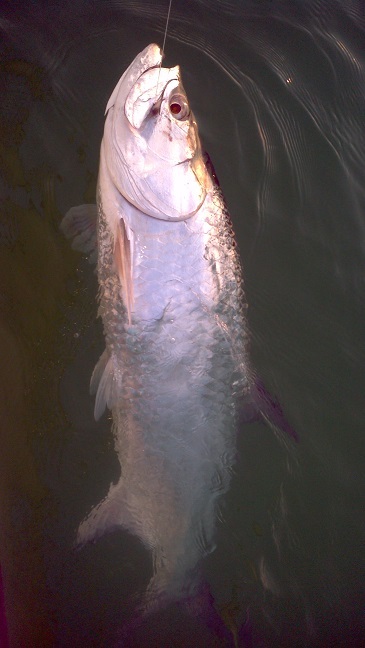 Still be catching lots of big tarpon in the florida keys. We caught 2 nice fish today fishing locally channel 2 and channel 5 bridges. Bait was tough the last several days but still had our shots at tarpon every day though they were limited. Before that fishing was still pretty great with multi fish most every trip. The may fishing islamorada should get better as the busy weekend subsides, we saw lots and lots of fish today though they were not biting great but with less boat traffic and hooks in the water that can change! If you want to catch tarpon in islamorada the end of may and june can still be very good times to go, june is especially good because much less pressure and still at the end of ‘prime time’. I have dates available in june and lots of evenings available, I can do later evenings fishing with live crabs too and that often is the hot ticket. Shoot me an email if you want to catch some may florida keys tarpon.